Boys Varsity Basketball · Jan 10 The Longmont Boys Basketball team went on the road to Silver Creek Wednesday night and came away with a 65-36 win. Click here to purchase your Boys Basketball Tickets Online. No hassle, less wait in line time. Support your Longmont Trojans Basketball Team! We will have the Girls tickets online as well soon. 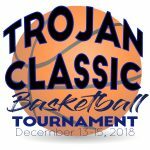 Boys Varsity Basketball · Dec 15 The Longmont Trojan Boys won their second tournament game versus Littleton by a score of 72-45. Boys Varsity Basketball · Dec 14 The Longmont Trojan Boy’s Basketball team comes back to beat Glenwood Springs 54-49.